Homo sapiens are returning to a savage time. What'll be in your iPod for eternity? Eselsbrücke opens with a soundbite from the film My Dinner With Andre -- the part where Andre Gregory is explaining to Wallace Shawn that the 1960s were the peak of mankind. Following that peak, he predicts, is falling action brought on by a collision of dystopianism and primitivism; everyone is intellectually blank and we will naturally revert to old, savage ways. Gregory is quick to point out that his view of what happens next is far more optimistic than that of his contemporaries, that different utopias will spring up in isolated pockets -- something he calls "Invisible Planets" (the title of the first track). And when these pockets communicate with one another, networking into a future underground, Gregory calls them "invisible space journeys". At this point, Cristian Vogel, who might have been keeping a straight face up until now, spills a bucketful of electronic sounds onto the track. What Gregory is saying by this point is swallowed up by the noise, forcing the listener to bend an ear through what could be interpreted as apologetic obfuscation by Vogel. The racket slides away. The waiter asks if the two men want desert. Andre Gregory orders just an espresso while Wallace Shawn orders an espresso and an Amaretto. Why did Cristian Vogel, a superb artist of musique concrète and a notable remixer of various Radiohead and Thom Yorke tracks, choose this film with this passage to open his album Eselsbrücke? Is humanity on a cultural decline? Was a guy like Andre Gregory perceptive enough to predict the venom of racist tweets and vacant-minded YouTube comments? If he was, then perhaps we are in the middle of a downward spiral where history doesn't get rewritten but erased. This primitive time that Gregory describes is when humans turn into robots, "feeling nothing, thinking nothing". 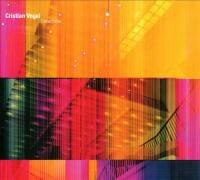 It could be that Cristian Vogel is trying to make a soundtrack for the dystopian era. If that's the case, then it's not very good marketing to do so: "Nine out of ten recipients of lobotomies favor Eselsbrücke to the average musique concrète release!" But in all seriousness, Eselsbrücke downplays Vogel's abilities. In 2010, the man had the whole factory at his command with Black Swan, a most superior release. What's missing this time? Cohesion, mostly. Vogel doesn't take the time to strengthen an idea the way he did before. A few ideas are tossed in the sphere, but few things ultimately stick. This is only by comparison. In many respects, Eselsbrücke can still be considered pretty bold and out-there by those who devote the proper time and attention to it. I can guarantee you that you've probably never heard anything quite like "Particles", an electronic avant-garde equivalent of raking leaves into a pile only to have the wind repeatedly blow your pile apart, again and again and again -- for nearly six minutes. "Ballad" is great because it sounds nothing like its title, leaning more towards Kid A's "Treefingers". "Atomic Layers" is another soundbite borrower, this time a lecture from the composer Karlheinz Stockausen: "Whenever we hear sounds we are changed, we are no longer the same after having heard certain sounds. And this is more the case when we hear organized sounds, organized by another human, being music." Vogel's noises barge in, much like they did on the first track, mocking the very idea that our molecular structure can be altered by organized sounds. And with the sound of a digital mosquito that swallowed too music caffeine who then takes a nosedive, Eselsbrücke comes to an abrupt end. It can be seen as humorous. Cynical perhaps? No one is qualified to answer that notion. But Vogel has already nailed the "organized sound" before. And if Eselsbrücke proves to be too baffling, there's always Black Swan.